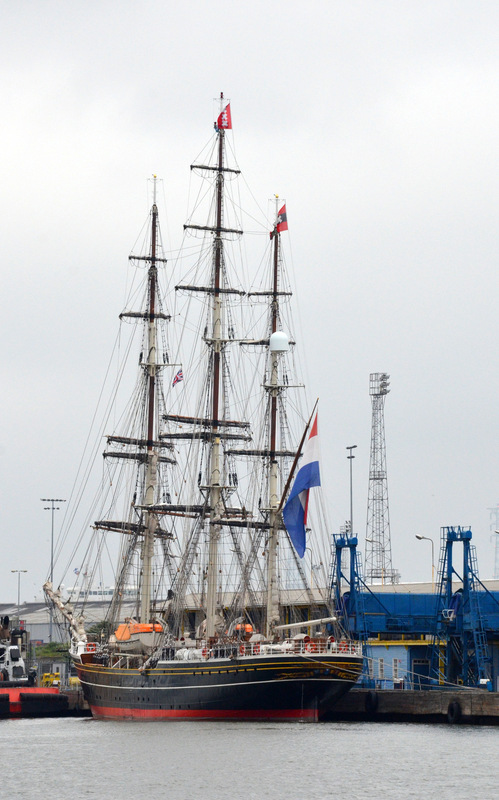 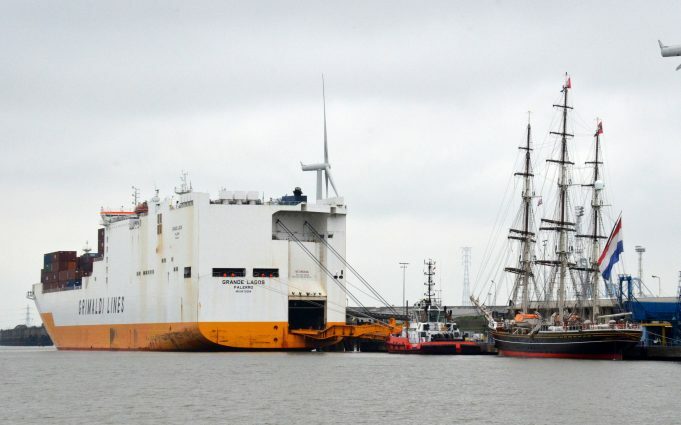 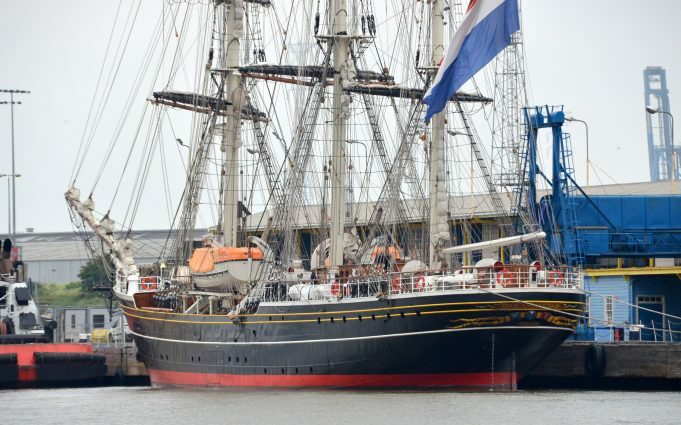 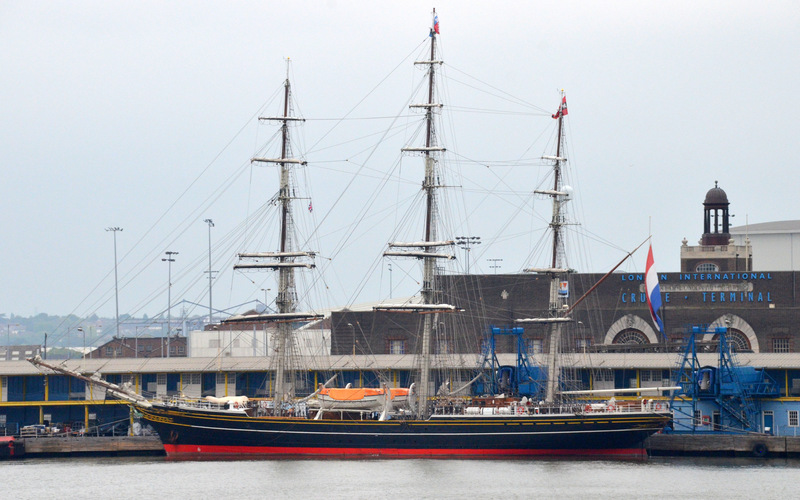 The schooner STAD AMSTERDAM on Tilbury Landing Stage on 4/6/2018. She was built in the year 2000. 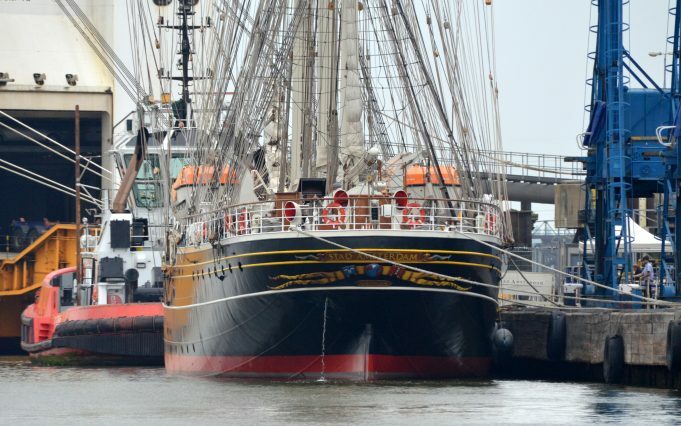 She is 250 ft long and has 30 crew members and capacity of 28 long trip passengers and up to 115 short trips..